Good standard boyband album with a different sound to JLS,1D,Westlife etc. All four singles off this album are good. 2nd UK top 10 album. 17 weeks in the UK top 100. 2 weeks Irish top 10. Ireland#4. 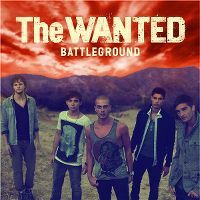 Very good album, My fav tracks would have to be Glad You Came & I Want It All, but all tracks are quite good on here. The Wanted are just not my thing. Their songs are sufficiently catchy and the production is good but nothing stands out about them to me. I listen to this album and I wait for something to pop and it just doesn't happen. Saying that, there's nothing truly awful about them either so I don't know. I really enjoyed 'I'll Be Your Strength'. I strongly dislike 'Gold Forever'.